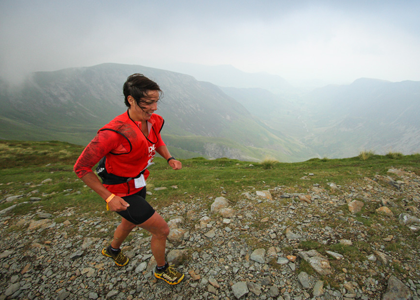 Sally Ozanne competes in Adventure Racing as a member of the Mountain Hardwear team. 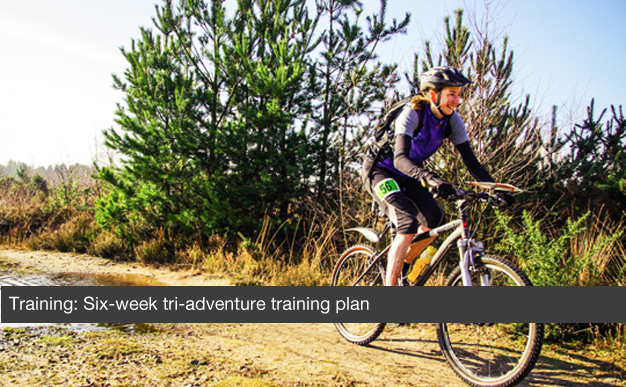 But what is Adventure Racing? 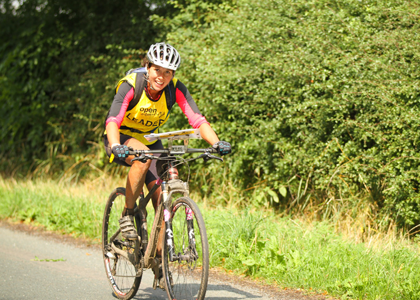 Sally talks us through the sport and explains what it’s like to race for seven days! Explain to us what adventure racing is all about. 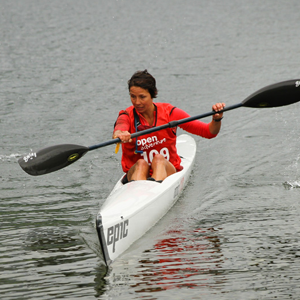 Adventure racing can vary from 24 hours to eight or nine days racing. 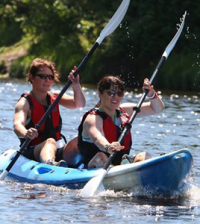 There are a combination of sports, including kayaking, climbing, running, biking, swimming, absailing and even caving in some cases. We race as part of a journey, its not about competing a set distance or course – we have to navigate ourselves, so it’s a self supported sport. You don’t get to know the course before hand which makes it a mental and strategic sport, not just physical. It can all be won or lost on the ability to navigate. 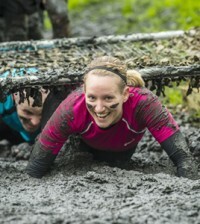 You must also cross the line as a team, and never split up on the course. This can incur penalties or disqualification as there’s a safety aspect to this rule. Different people in the team will have unique strengths, so this helps to balance out the team. With such little sleep and long days, everyone peaks or dips at different points. As a team you can see this happening and help to support those that are suffering, knowing that when it’s your time to flag, they’ll pick you up and get you through it. What are your strongest sports? I am strongest on the bike, both mountain and road. Our races involve mountain biking, but I have also won the high terrain duathlon series, based on road bike + trail running combined. I also have good technical knowledge as an outdoor instructor, so can apply that to navigation and climbing stages too. What’s your favourite expedition meal/ pre race meal? For racing, it’s fruit and nuts. In Patagonia, I had a pouch full that I kept eating regularly which was perfect to keep my energy consistent. At transitions, it’s a hot meal like pasta and sauce to warm me up and give me a good energy base. Post race, I always crave a big plate of vegetables, broccoli is a favourite! When you’re racing for days, you have to survive on basic foods and often the same thing over and over, so getting some fresh veg at the end is always a boost. After the World Championships, I headed straight for the ice cream stall, you name it, it was on there – chocolate, cream, flake – the lot! What is the first thing you look forward to doing after a long expedition or race? Sleeping! A hot shower and bed, we might only get a few hours sleep every other day during racing. My job means I am outdoors a lot, this helps, as it conditions me to any weather condition – there’s never bad weather, just the wrong choice of kit! Mountain Hardwear kit is super tough against the elements too, so we’re lucky to have this to work with. Day-to-day, I commute by bike, I have trails and steep fells on the door step here in the lakes (Kendal), so it helps to have it so accessible. The key is to use time efficiently. I still work so I need to always try and plan my training needs around the busy weekly schedule. I always put my left shoe on first, oh, and a hot bowl of porridge to set the day off! What is you race career highlight? Winning this year in Patagonia was incredible – named ‘the last wild race’ it covers hundreds of kilometers in the Chilean wilderness! We raced for nine days, six hours and 55 minutes and beat the second place team by over 24 hours. 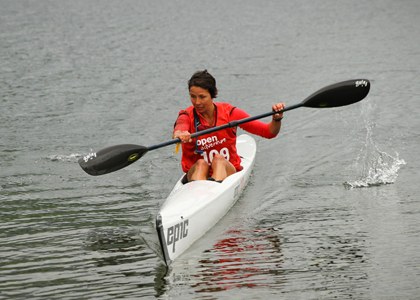 Other athletes pushing it in their sport, Chrissie Wellington is a massive inspiration as she’s overcome some incredible personal, emotional and physical challenges, and also came into her sport later in life. I want to still be enjoying my sports, and pushing myself. I think women have a mental toughness that can allow them to do that. I’ve let go of the things you worry about in your earlier years, focusing on what I do like and can achieve. I’m also more prepared to take risks as I’ve become older. And finally, when singing karaoke, what song do you sing to bring down the house? Ooh, I love to belt out a bit of Whitney during a race! Sally Ozanne is sponsored by Mountain Hardwear.